Expanding on the D-Tech on Demand premise which was launched in June of last year, a new custom Magicband station has been opened inside the Tomorrowland Power & Light Co. location near Space Mountain in Magic Kingdom Park. This station allows guests to choose from over 40 different designs. Most designs seen above are only available at this location. 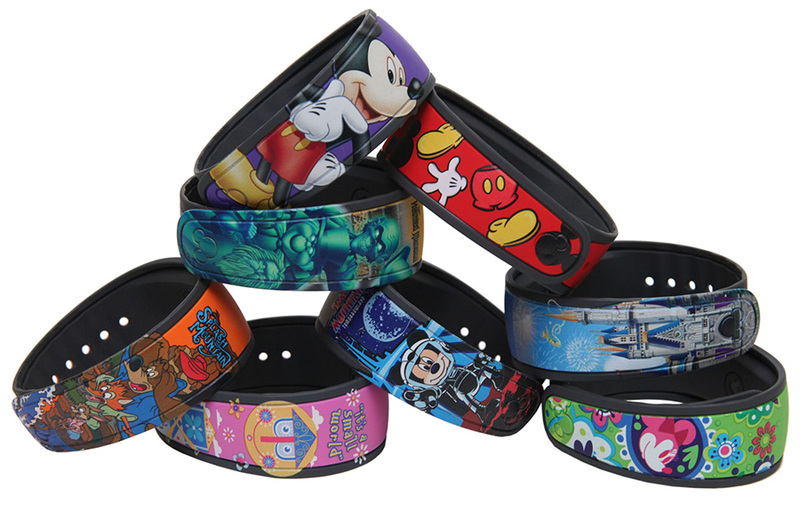 Once designed, the retail MagicBand is printed in the location. The printers use UV ink which dries immediately and requires no cooling time. At the Tomorrowland D-Tech on demand location, guests can choose to create either a retail MagicBand or a D-Tech phone case. If creating a retail MagicBand, Disney offers you a choice of eight different MagicBand colors including the elusive purple.